Growing a candy heart is a great way to use up any extra bags of M&Ms you may have lying around. 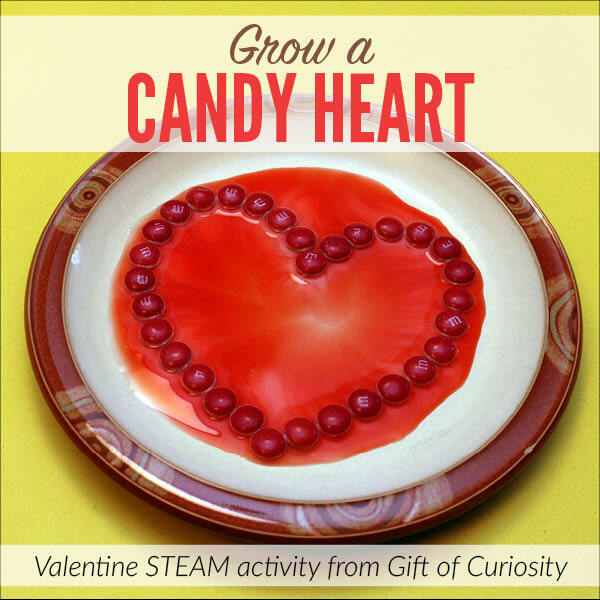 And trust me when I say that this Valentine STEAM activity was completely mesmerizing for our entire family. For more Valentine learning activities, see my Valentine Activities for Kids page. 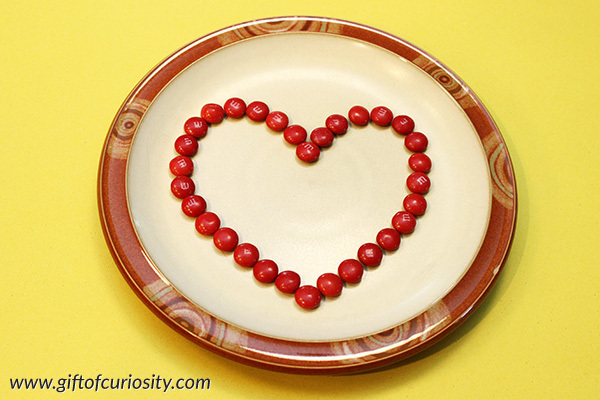 Begin by making a heart of red M&Ms in the middle of your plate. Slowly pour water in the middle of the heart until water is touching all of the M&Ms. 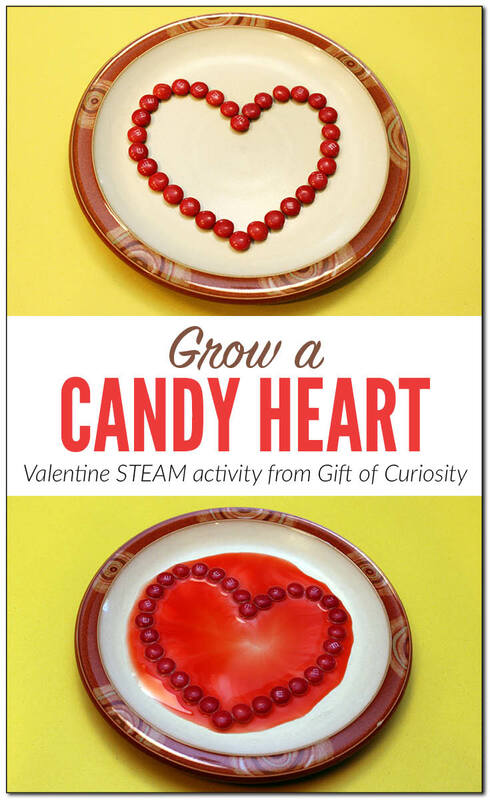 What’s the science behind growing a candy heart? The hard shell of the M&Ms is made with water soluble colors. When the water touches the M&Ms, the colors begin to dissolve off of the M&Ms and run into the water, filling in the candy heart with red coloring. Does the water need to be warm? I imagine warmer water would cause the candy shells to dissolve faster, but no, you do not need to use warm water. We used room temperature water straight from the tap.